If you have been charged with a traffic offence, you need advice from Melbourne's expert traffic lawyers. Have you been charged with driving charges? If you have you been charged with driving charges or traffic offences we can help you. We have expert driving charges lawyers who will be able to answer your questions. If you have been charged with dangerous driving, driving disqualified, driving suspended, driving without a licence or other traffic offences you may well be facing loss of licence or other criminal penalties. Contact us today to get your questions answered. Even something as seemingly minor as a driving conviction can have a negative future impact on your employment or travel. 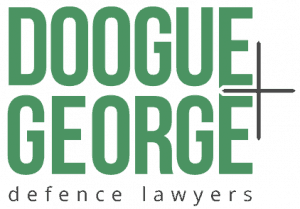 Doogue + George are experienced in defending every type of traffic charge and helping our clients. This section of the website contains an extensive number of articles about serious driving offences and retaining your licence. But the easiest first step is to either call us or fill in an email with your enquiry. To view more information about traffic law and driving offences, please visit our Traffic Lawyers site. If you need information about Drink Driving Law, please visit our Drink Driving Lawyers site.